Spending time together as a congregation is important and helps us grow closer together. What better way to do that than around good food and fun activities? 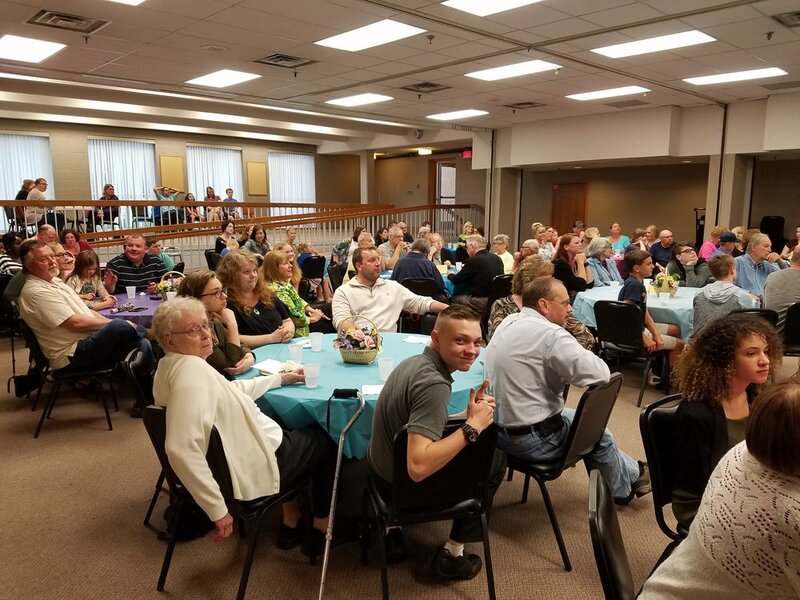 Thanks to a TON of volunteers we are able to serve many meals, offer hospitality to guests on special occasions, and connect with people who aren't able to come to the church building anymore. Below are a few examples of these ministries at House of Prayer. If you have questions or would like to get involved, please contact our office! Homebound Ministry - A trained team of congregation members regularly visit members who aren't able to attend worship. In addition to visiting, they offer communion and prayer. Flower Delivery - Each week, flowers that adorn the worship space are shared with members who are experiencing difficulties in life. Meal Delivery - Home cooked meals are shared with members of the congregation and community who have experienced hardship or tragedy. Funeral Luncheon Group - These volunteers help prepare and serve meals to families and loved ones after a funeral service. Wednesday Night Simple Suppers - A team of volunteers assist our Simple Supper Coordinator in preparing and serving Wednesday night meals. Annual Fall Festival - A group of volunteers do a myriad of tasks (making crafts, preparing food, advertising, setting up vendor tables, and more) to put together this highly anticipated Richfield event each fall. Sunday Morning Coffee Service - These volunteers help prep, serve, and clean up coffee and donuts for our Sunday morning fellowship time.